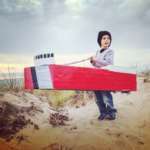 My friend had made the heads out of brick foam stacked and glued. She shaved the foam to shape. Then she attached the shaped heads to chicken wire and lined that with duck tape. She spray painted the heads and went back with finer detail. A sheet was attached to the heads and fabric foam was rolled for a tail attached to the sheet. 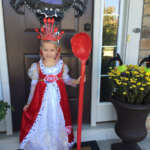 I got the costume from her after two years and completed it by cutting foam into claws and glued them to gloves and socks. I spray painted the sheets and added pillows to build a body. 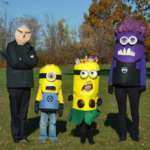 We rocked the costumes on Halloween before they came out with the inflated version. My older son, Rone, is obsessed with dinosaurs. He wanted to be the Indominus Rex from Jurassic World. 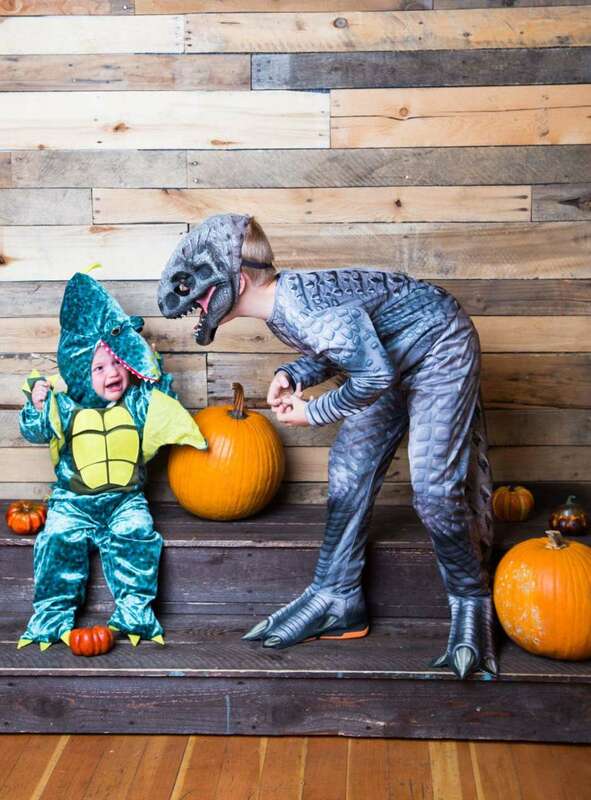 So I had to find another dinosaur for our other son, Lucian, so he got to be a Pterodactyl. Rone would totally take on the personality of the Indominus Rex. It scared Lucian more often than not. I love this picture of them! Hi! 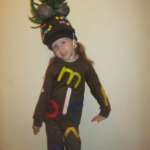 My costume was a mix of both! 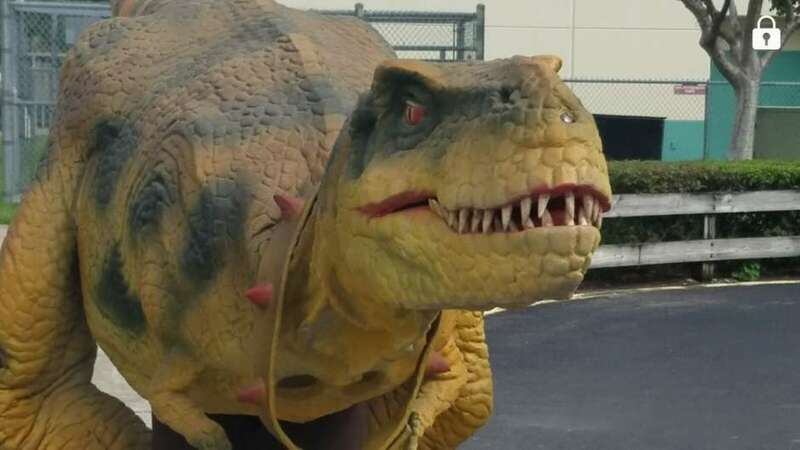 I sent in my design to a manufacturer and they made the outside to my specifications; it took about 6 months until I was happy with the overall design and then it was shipped over to my place where I found that the inside of the dinosaur needed a LOT of work. So I changed all the internal wiring and changed the speaker to an extra loud Bluetooth speaker as well as installed 4 fans for ventilation and then I repainted the whole dino with petrol paint. 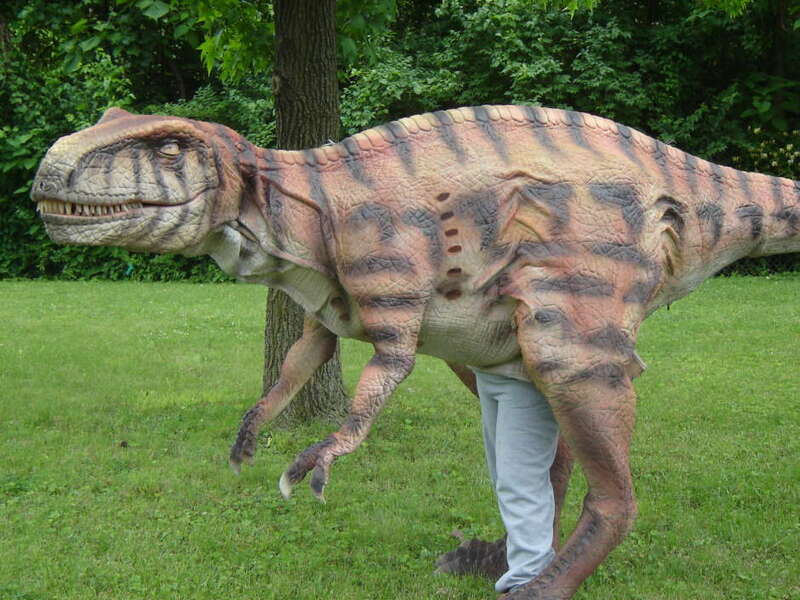 The dinosaur can move its head, blink, open its mouth and walk around (its legs are attached to my feet). It weighs around 65 pounds so I have to wear a supporting corset that I made out of steel boning and interfacing as well as football shoulder pads. My son loves dinosaurs and is obsessed with Jurassic Park movies. His dad transformed an old doll jeep into the coolest Jurassic Jeep complete with dino roar sound effects. 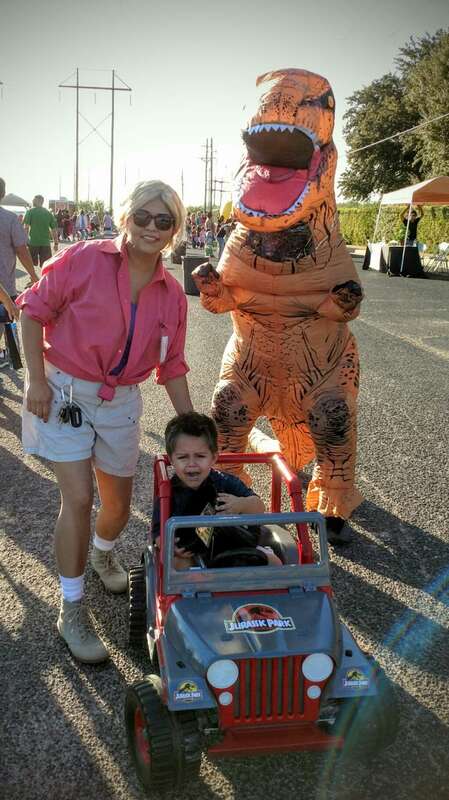 His dad was the T rex and my son and I were paleontologists from the first movie. 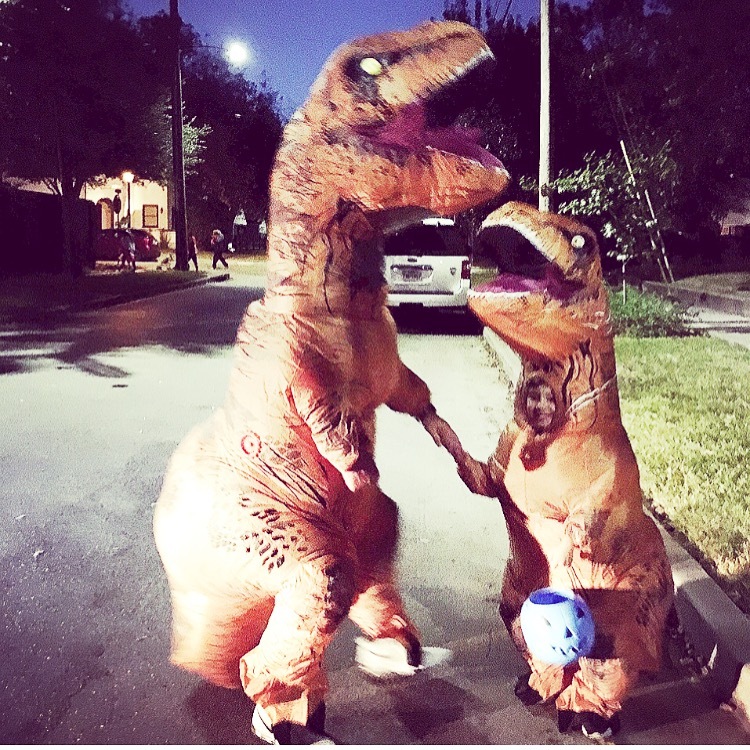 My son loves trex so when Halloween was coming up I already knew what he wanted to be. 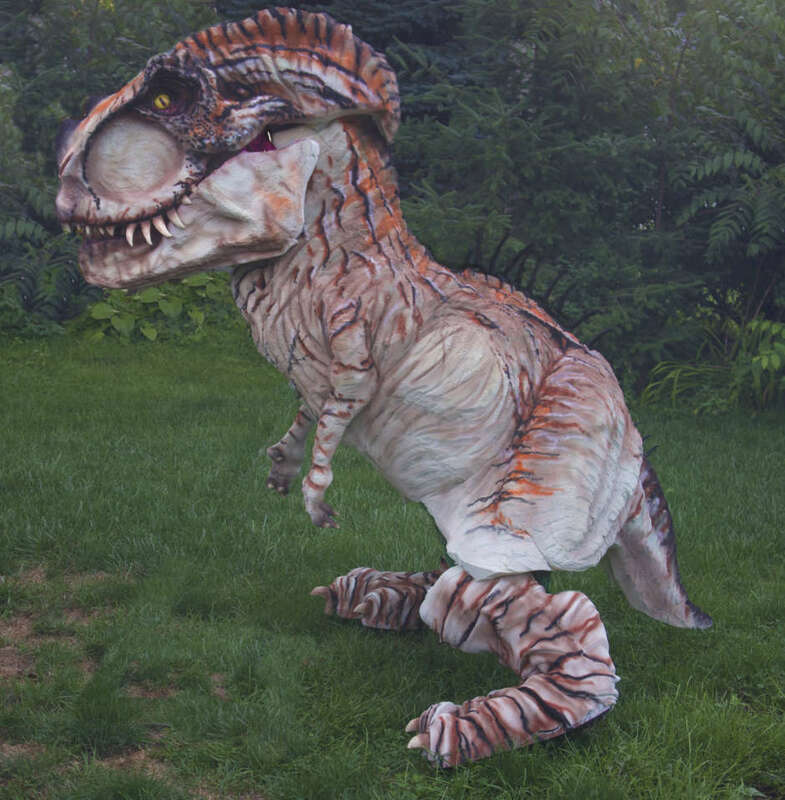 These inflatables t rex costumes were perfect for dressing up as a dinosaur. He didn’t know I was dressing up like one either. So when he saw me he was super thrilled. 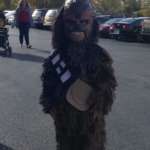 It was awesome although it was super hot in the costume (we live in Texas) I sacrificed just to see my son happy. It was also fun walking around the neighborhood and having kids wanting to take pictures with you. I mean cmon it’s a dinosaur! 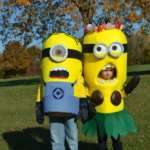 We definitely had fun trick or treating this Halloween. My son loves all dinosaur things. 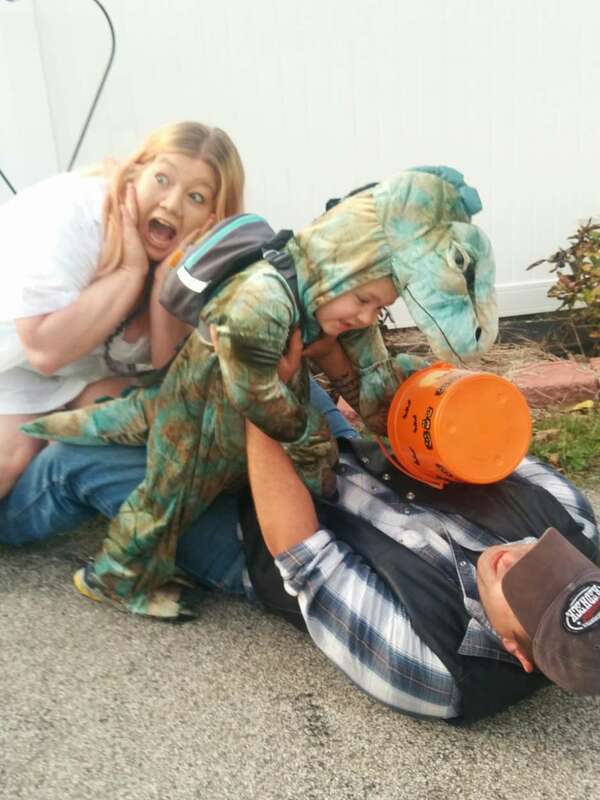 He loved the movie Jurassic world and wanted to go as movie characters. 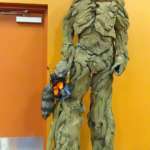 So he is a raptor and his dad is Owen Grady the raptor trainer. I’m dressed as Claire . The manager of Jurassic world. 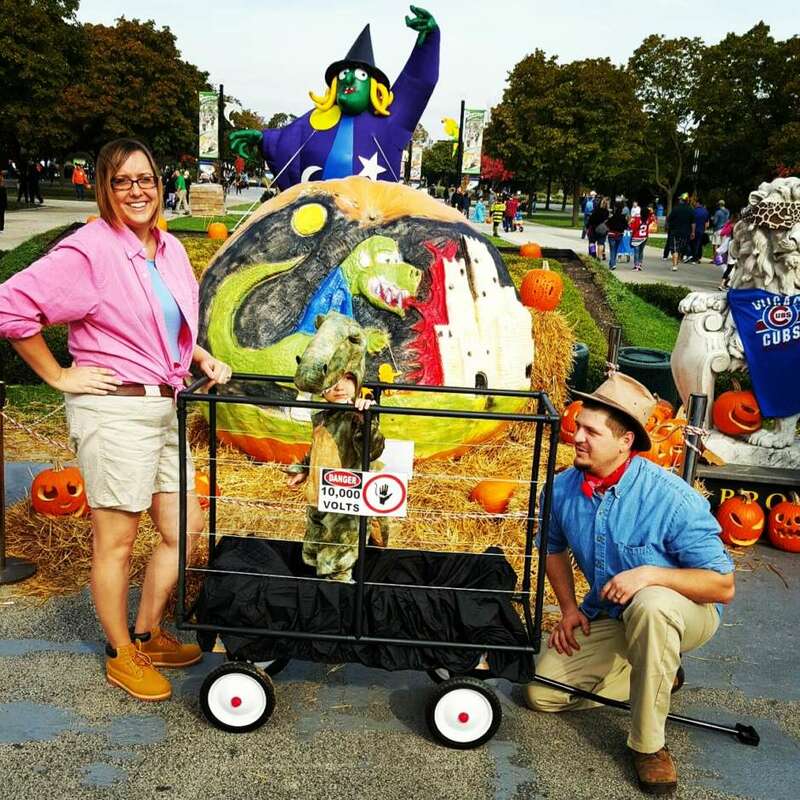 We always do family costumes. Last year we went as the cast of frozen and the year before we went as finding Nemo. 🙂 We were just as excited this time. 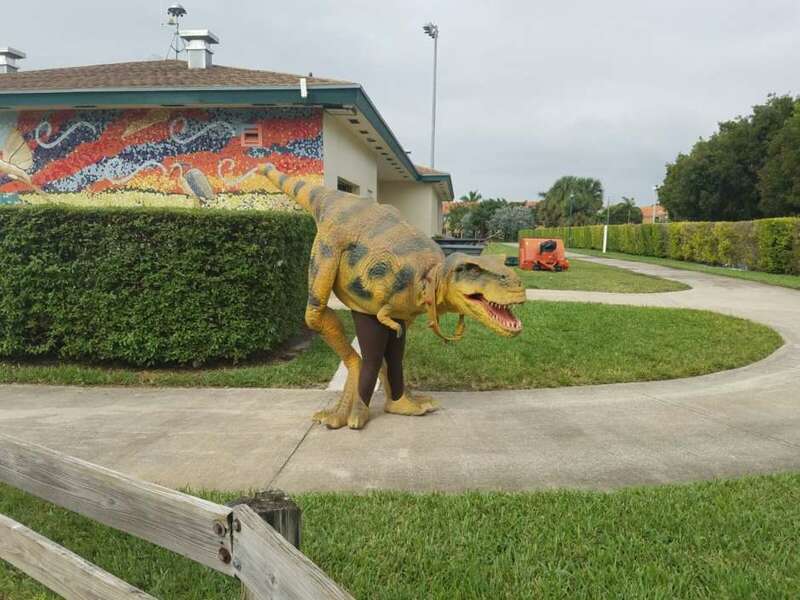 My son actually went around telling people to watch out for indominous rex. The hybrid for. Jurassic world. He would also growl when saying trick or treat. 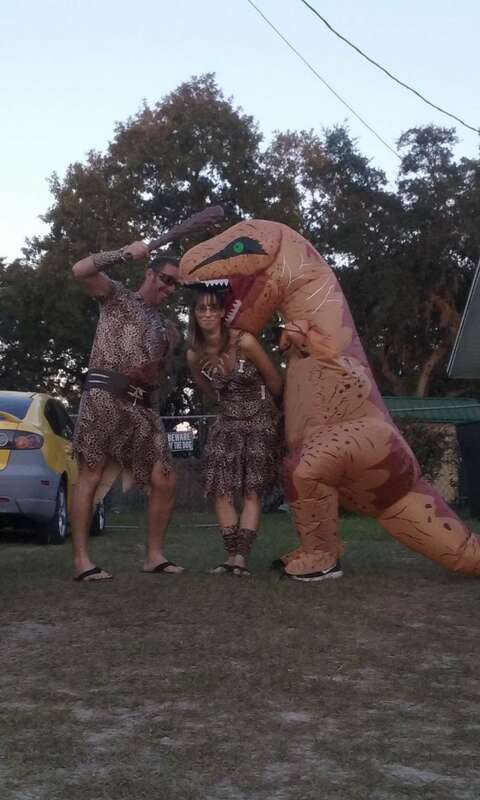 My 12-year-old is in the dinosaur costume and my husband and I are the cavemen. 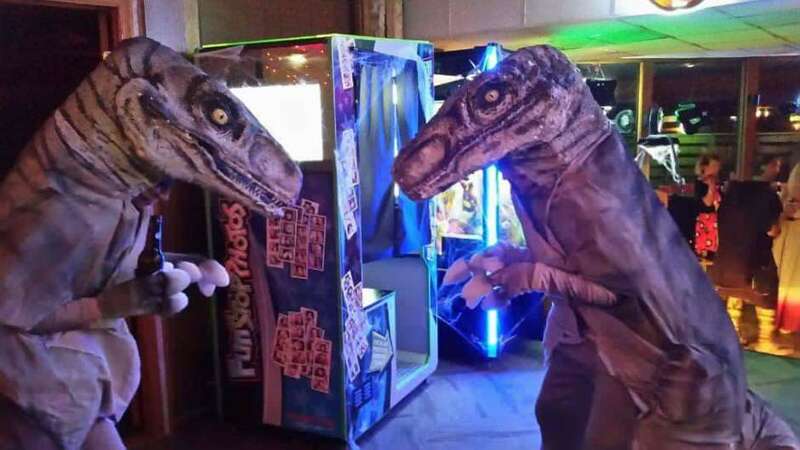 We saw these dinosaur costumes on the web, we thought they were so cool, but way too expensive & no way to touch & see in person what you’re getting for that money, as all the companies that make these are overseas from us. We started trying to make 1 of our own, but couldn’t get certain parts to work like we wanted, then we found 1 that was used & had been in a high-speed pursuit & rollover accident! We just knew this was the 1 for us! he was in about 10 pieces when we got him! Since then we have almost completely rebuilt him our own way! he has even been recolored! 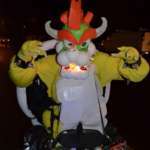 he is now made of PVC pipe, foam, great stuff, nylon, latex, silicone, paint & other miscellaneous pieces & parts out of our garage. This was a first attempt at making a costume build. 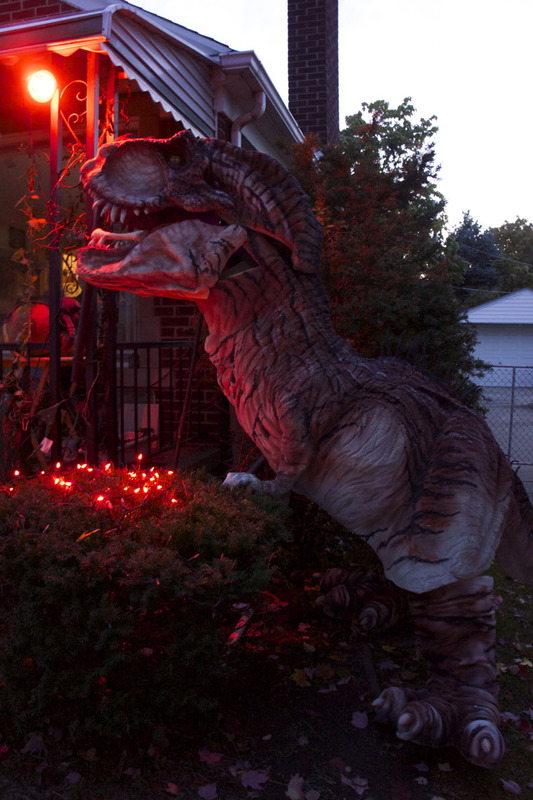 I chose the Ceratosaurus as a very rough inspiration. I used 2-inch upholstery foam sheets glued with Barge cement – creating a general shape over a cheap mannequin body and then shearing it down with electric carving knives, scissors, and even an old drill with a wire brush attachment to create the wrinkle texture. The paint job mostly consists of Createx acrylic applied with an airbrush, then topped a coat of latex rubber sprayed on with a paint sprayer. That’s me roasting within…I should have used a stiffer foam, like L200, which would have allowed me to use much thinner sheets and have less of a heat trap. It was certainly a learning experience!